Phon D Sutton, Mesa, Az, April 29th, 2 am. Two days ago we rescued Little Old Lady (Lolly) with a broken left Phalanx. Her mother, Old Lady, is one of the most elusive and oldest mares on the river, but needed rescue as well. Under the full moon, after two days of patiently feeding Old Lady, we successfully and calmly bait-trapped her, trained her on the spot, by pressure and release and loaded her into our trailer. We will share more pictures of the rescue as soon as possible. It took patience, a large team of determined volunteers, as well as good equipment and careful strategy to capture her without any stress. In this poor shape, any stress could kill her or make her bash her head into paneling. She is now safe, as well as her foal Lolly who is currently at the veterinary hospital. 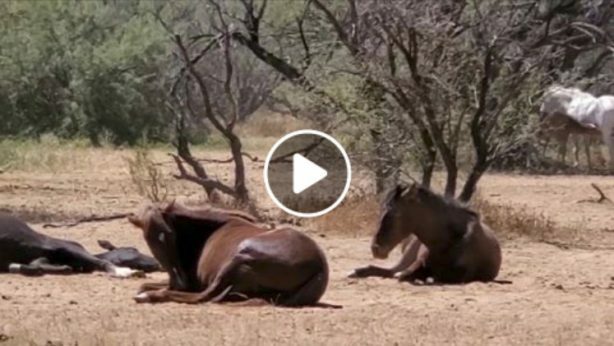 While the drought is hard on every Salt River wild horse, (see emergency feed protocol) her condition is not indicative of every wild horse on the river. Old Lady is over 20 years old, hence her (nick) name Old Lady. The line of when to rescue and when not, is a fine one, because after all, these are still wild horses and natural deaths of old age are going to occur. However, when we have the authorization, the support and the funds, we can and will rescue severe cases like this. We would like to thank the Arizona Department of Agriculture for their cooperation, authorization and support, as well as the Forest Service and MCSO. Both mom and baby would have died shortly in the wild. They are now going to be safe and happy. To the herd, the effect is the same, they are no longer part of the herd. To the individual horses the effect is 100% different. They have been spared a long and agonizing death and will receive the best possible care for the rest of their lives as part of the SRWHMG family. 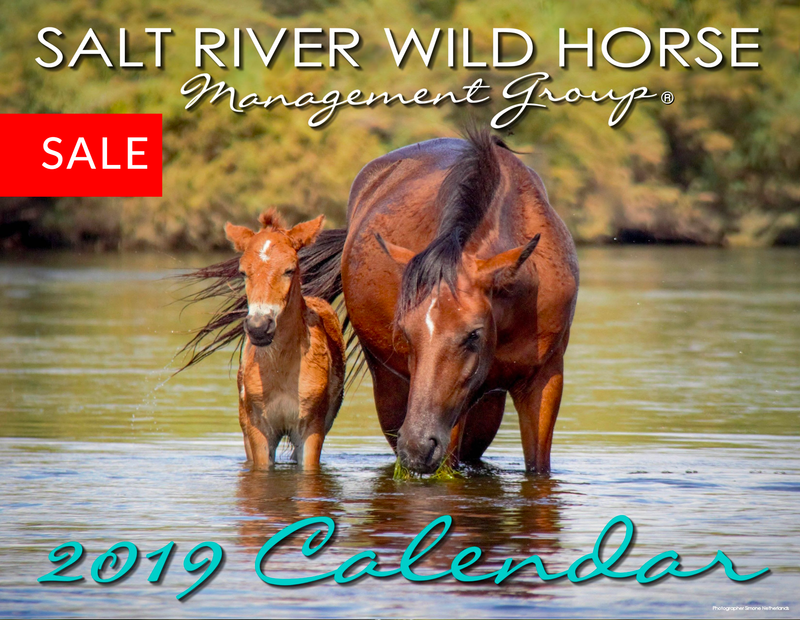 Backed by your financial and moral support, our army of horse warriors stands ready any day of the week to make a difference for the Salt River wild horses. They can and will be managed humanely, by the public, and for the public. However, please, we cannot do it without YOU, if you like our work, we do need your donations urgently for their care. 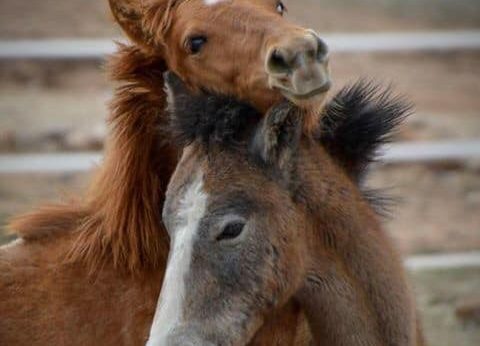 Please sponsor a Salt River wild horse through our website. Thank you!